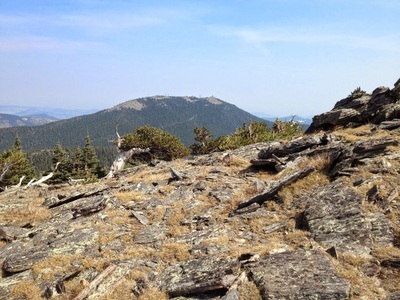 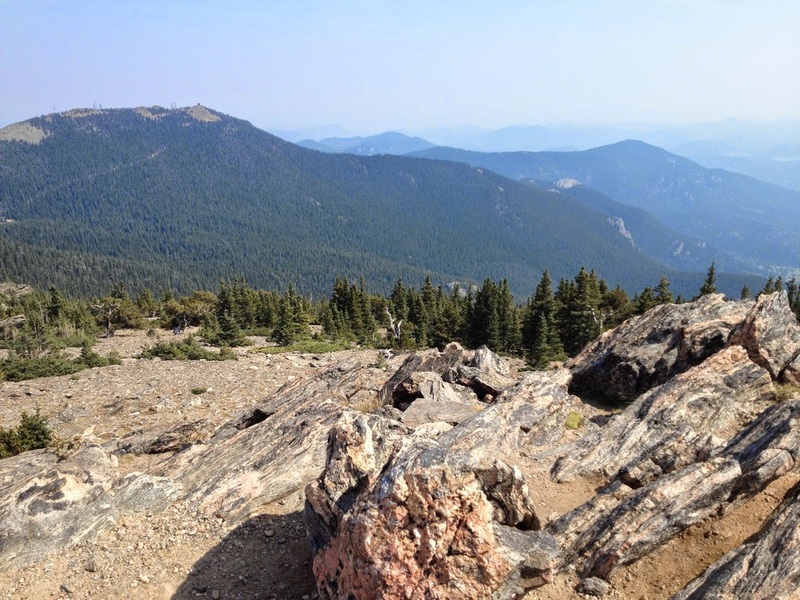 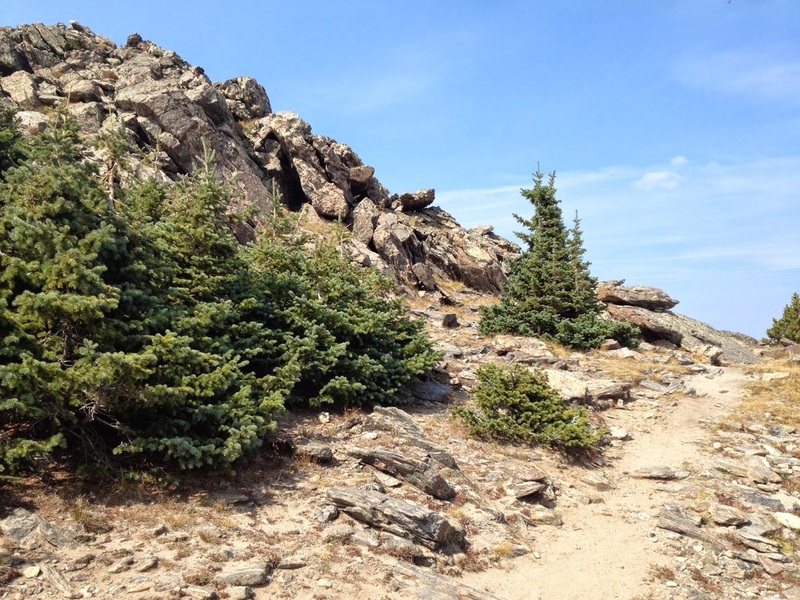 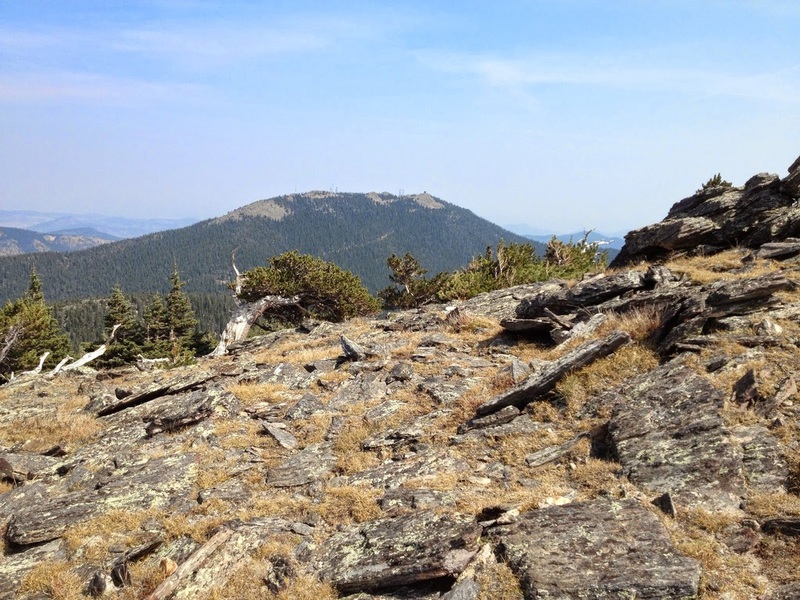 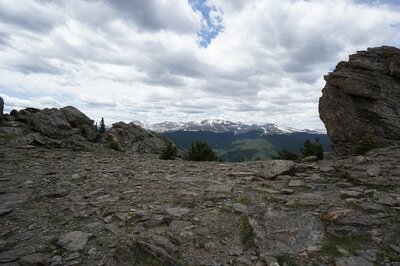 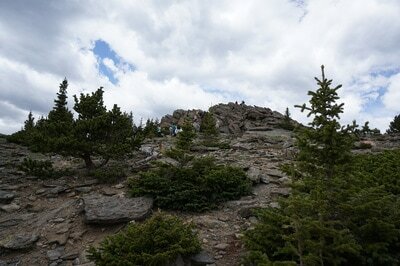 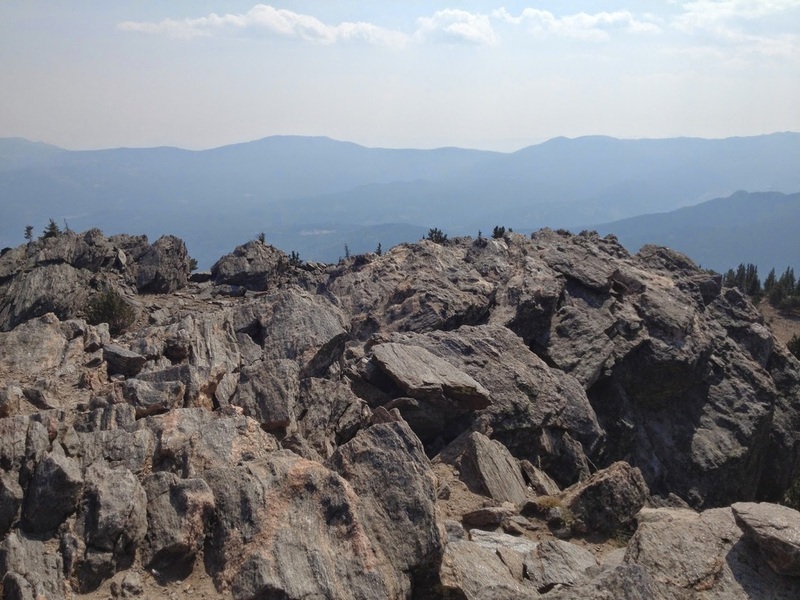 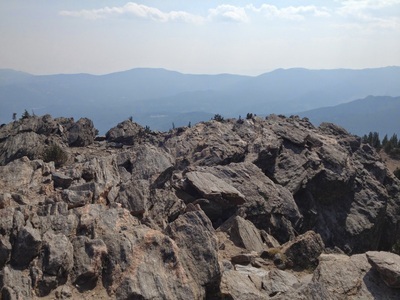 This is a great beginners summit hike. 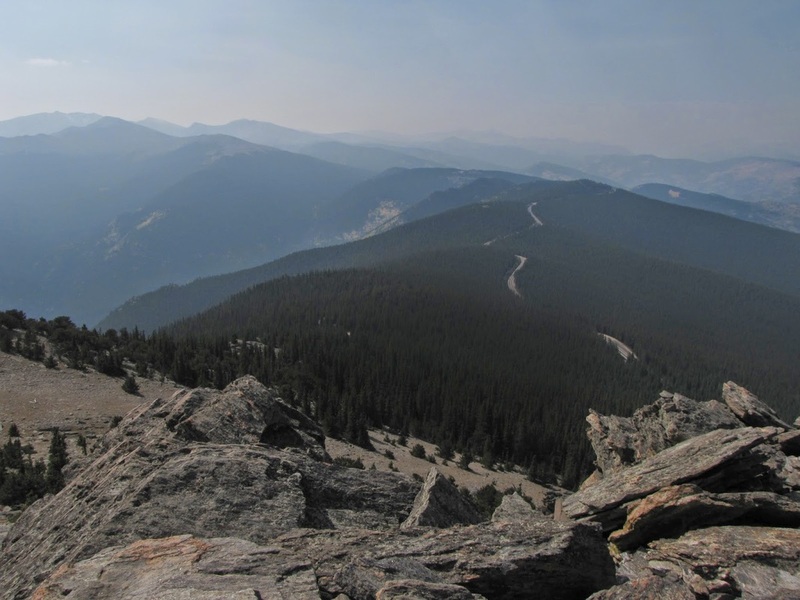 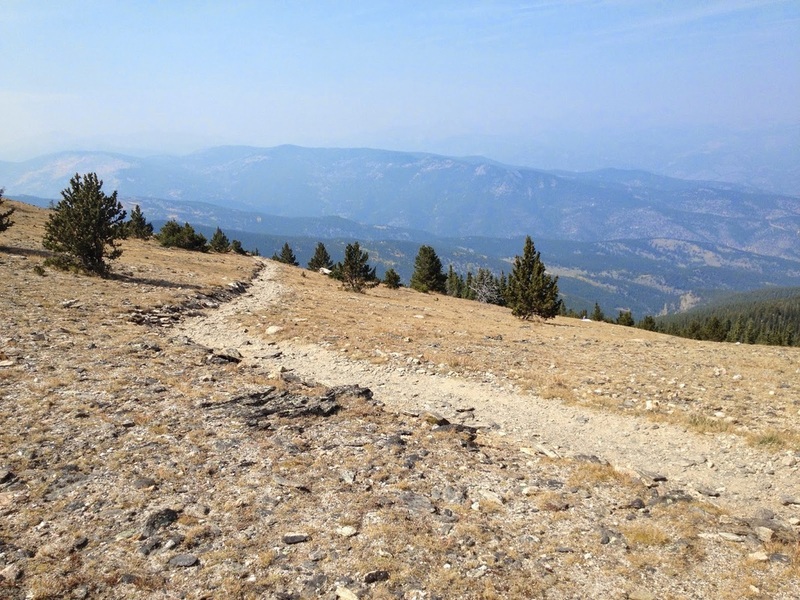 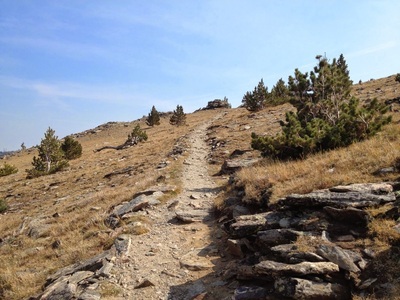 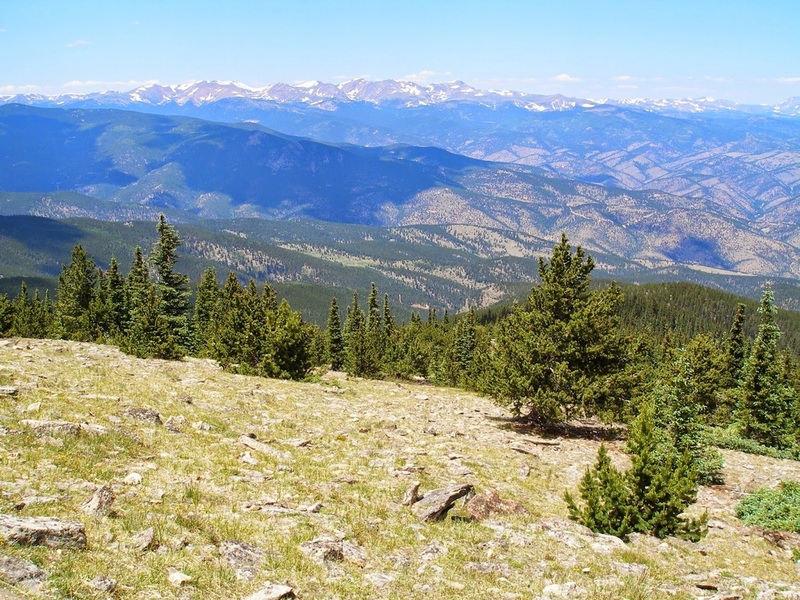 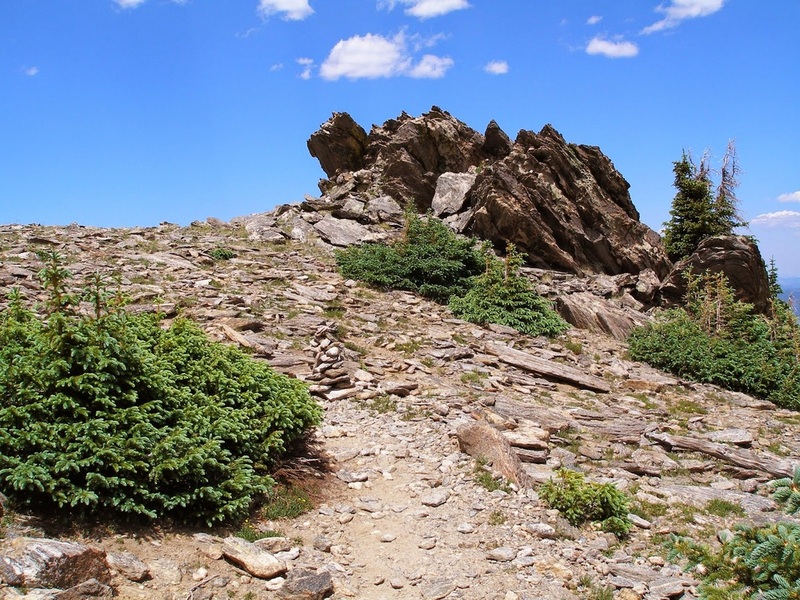 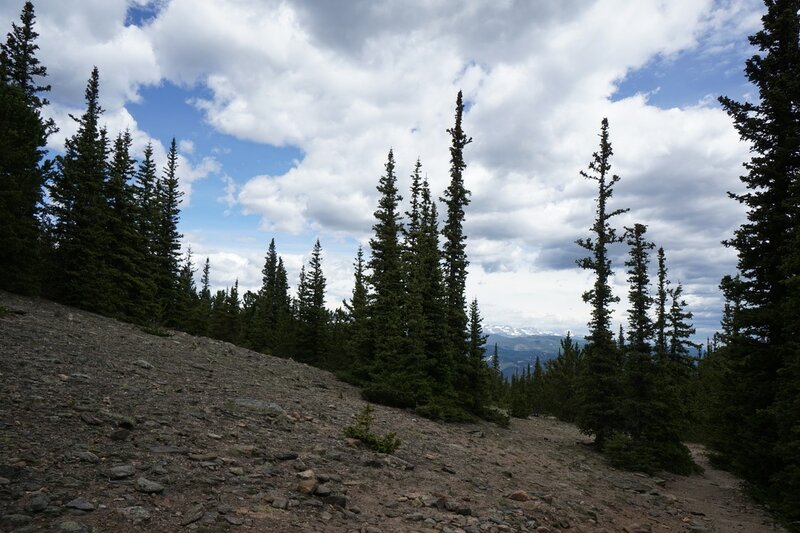 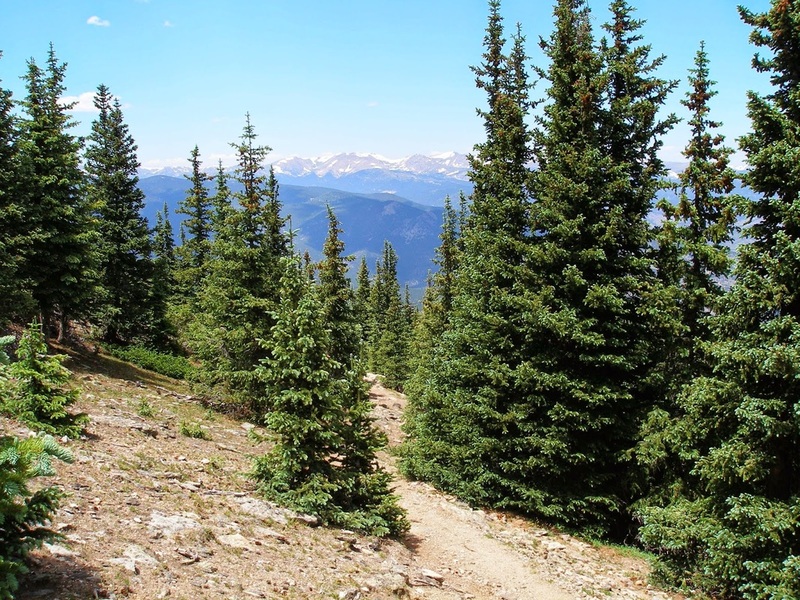 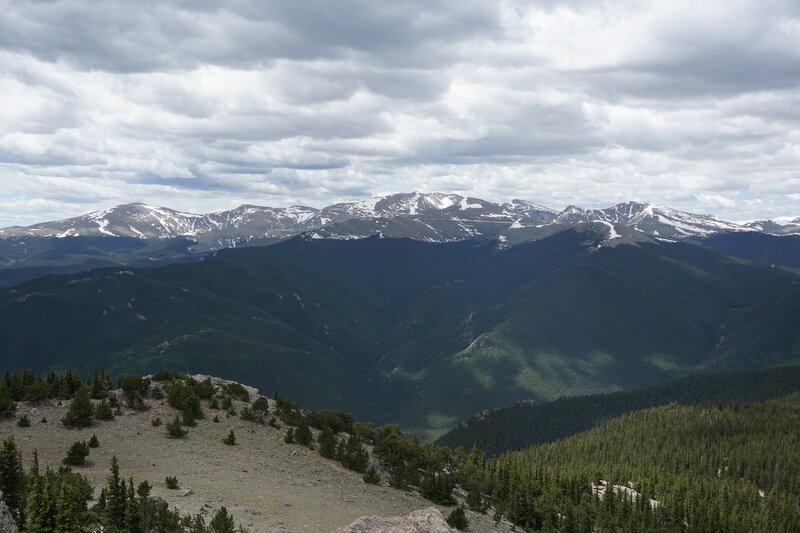 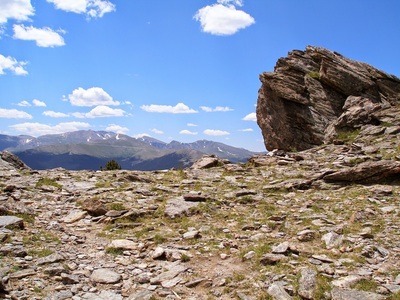 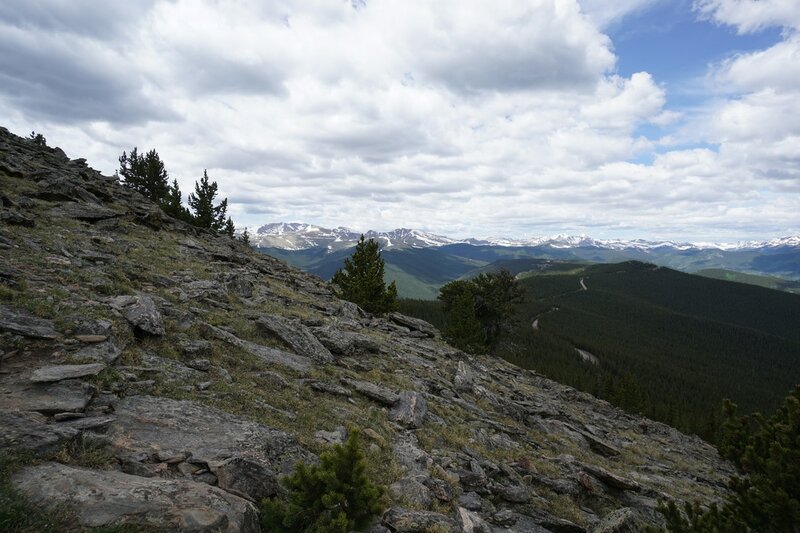 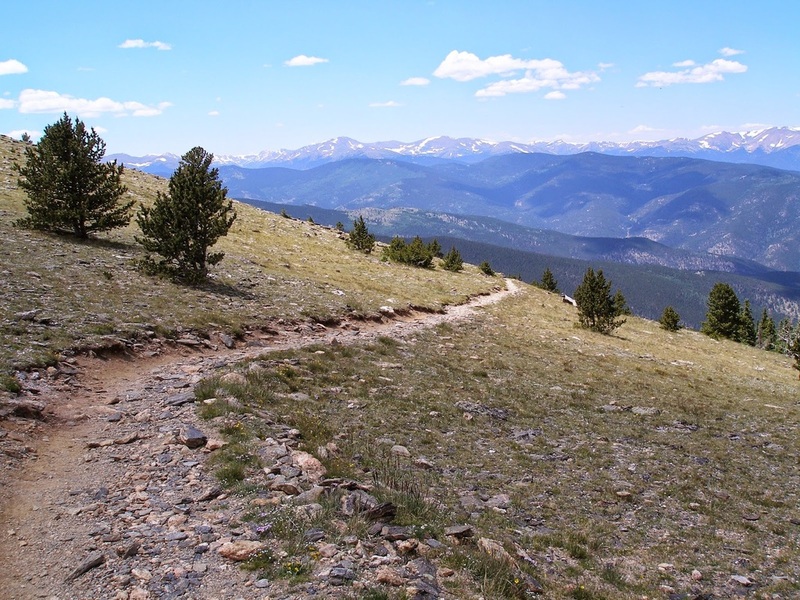 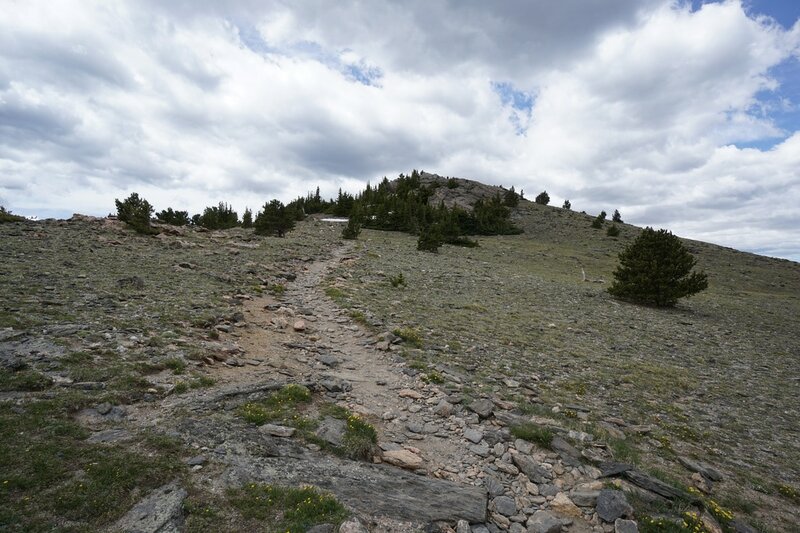 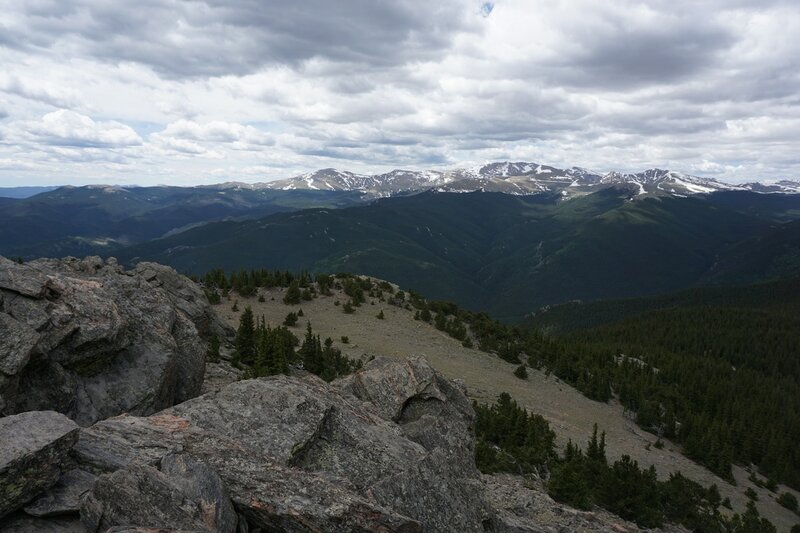 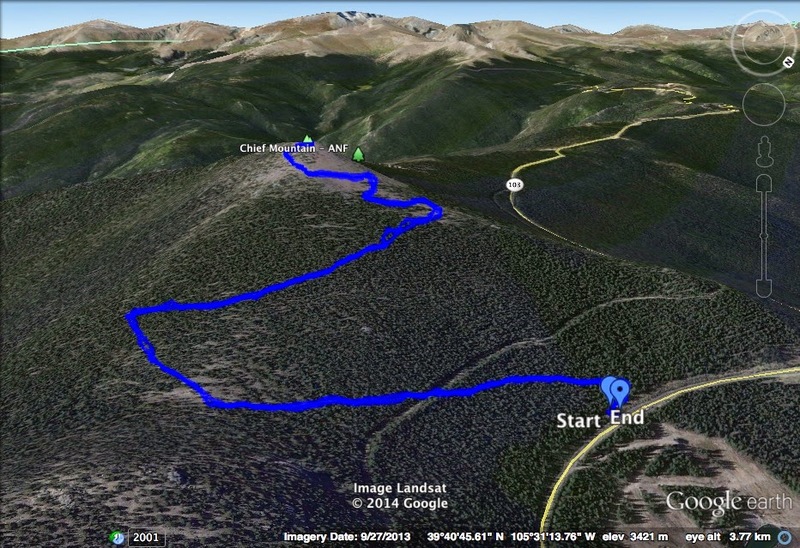 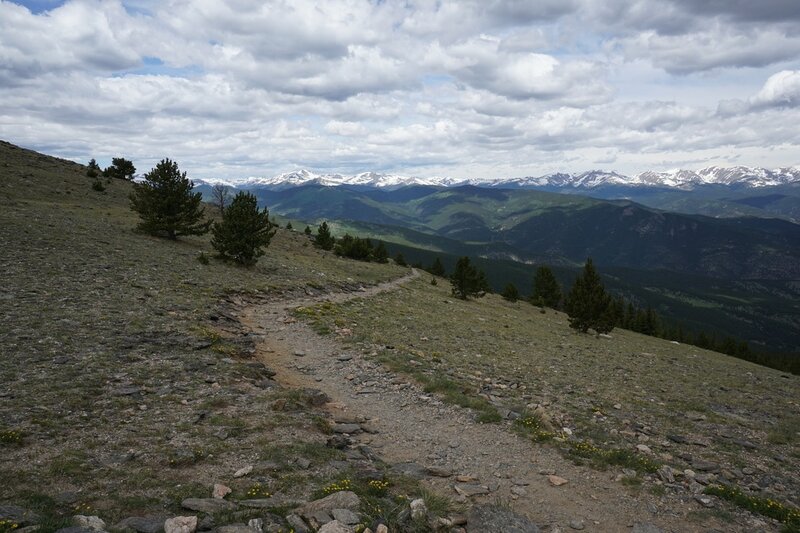 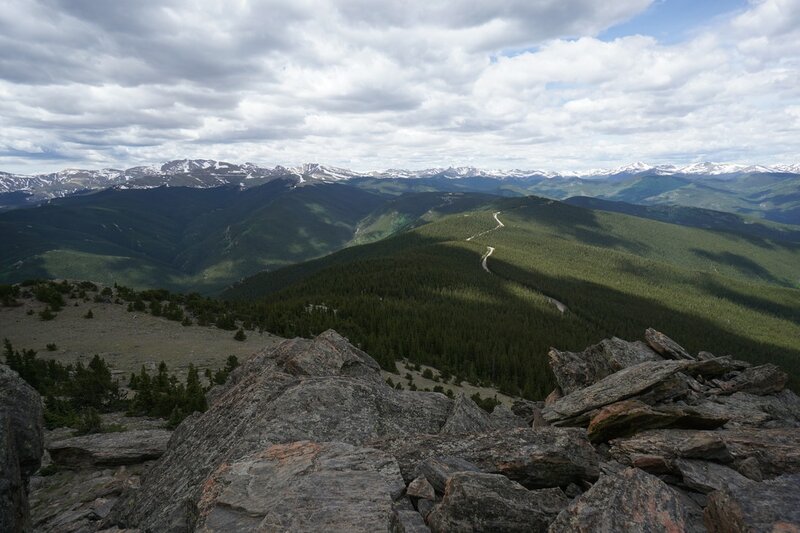 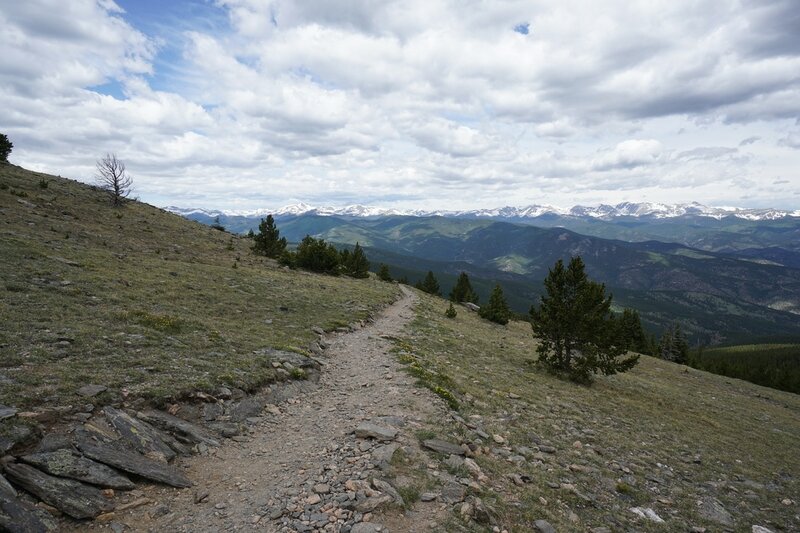 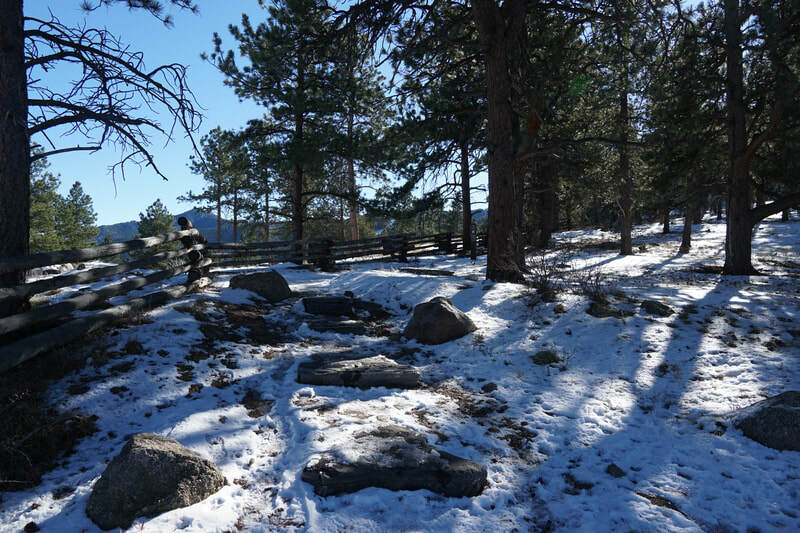 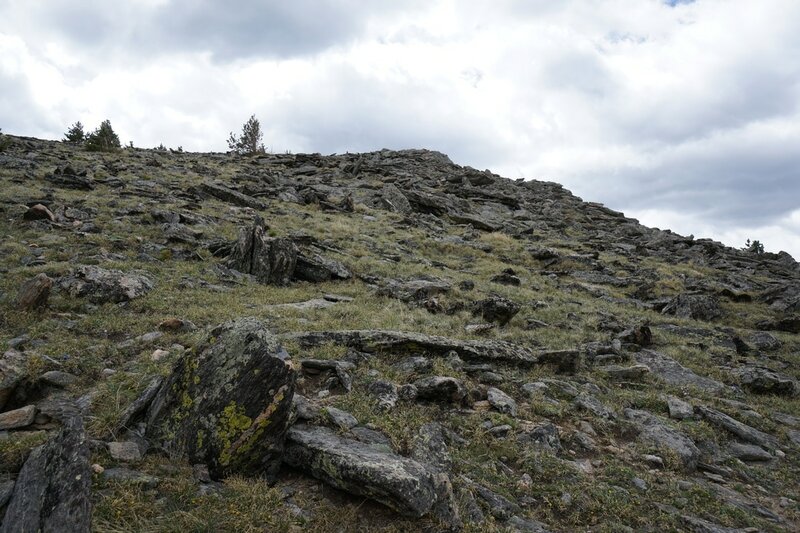 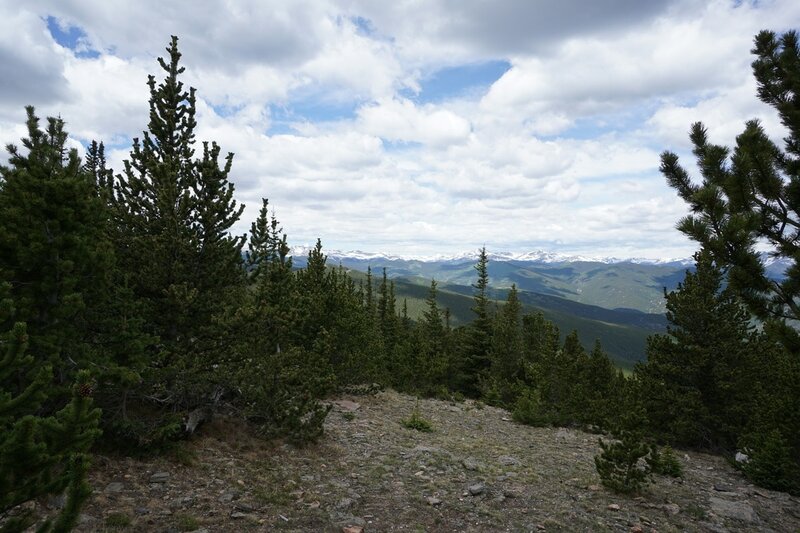 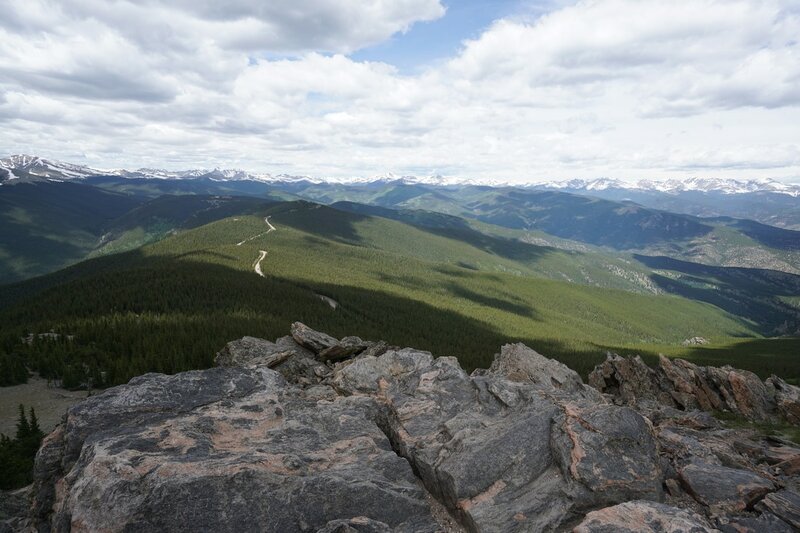 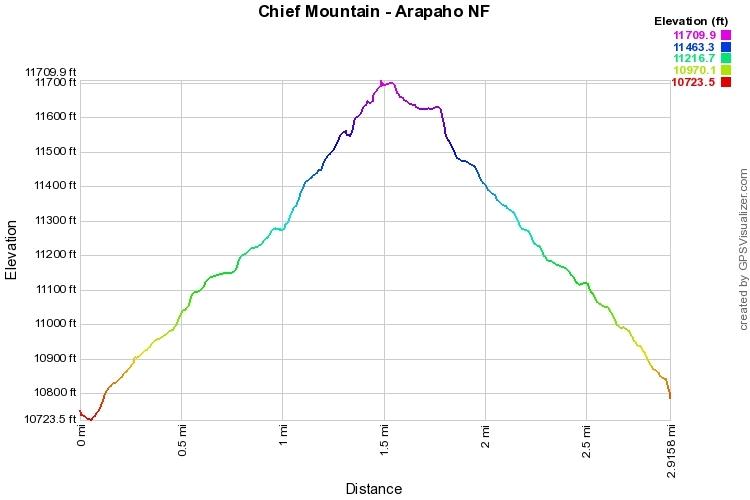 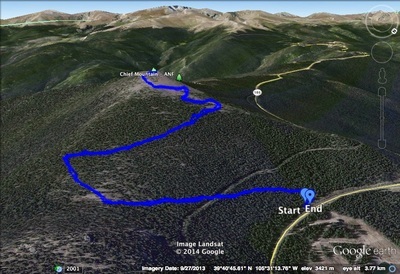 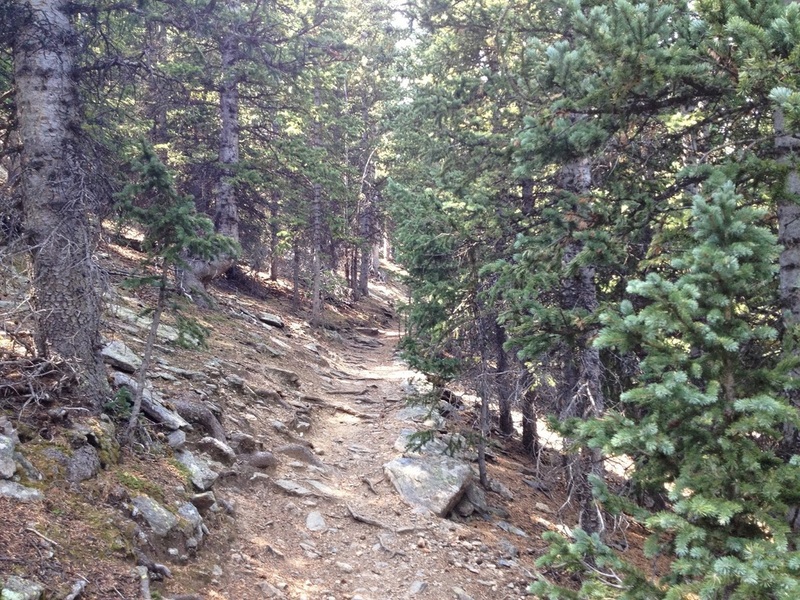 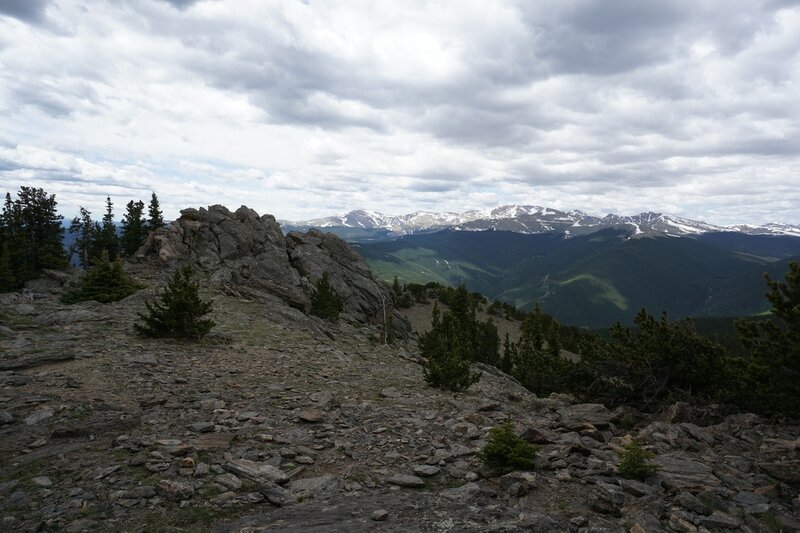 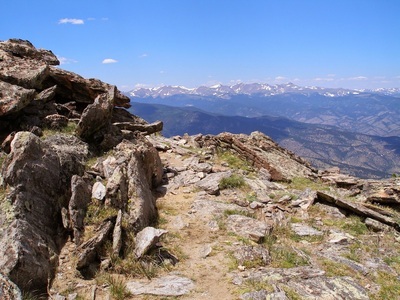 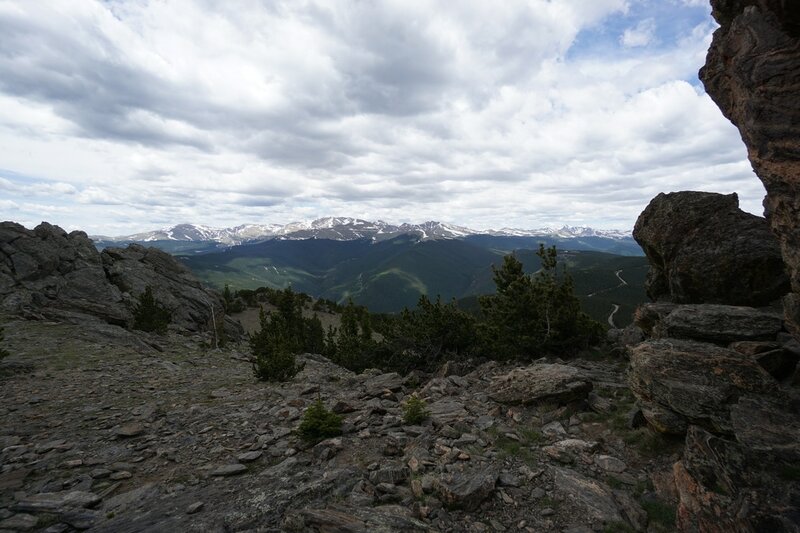 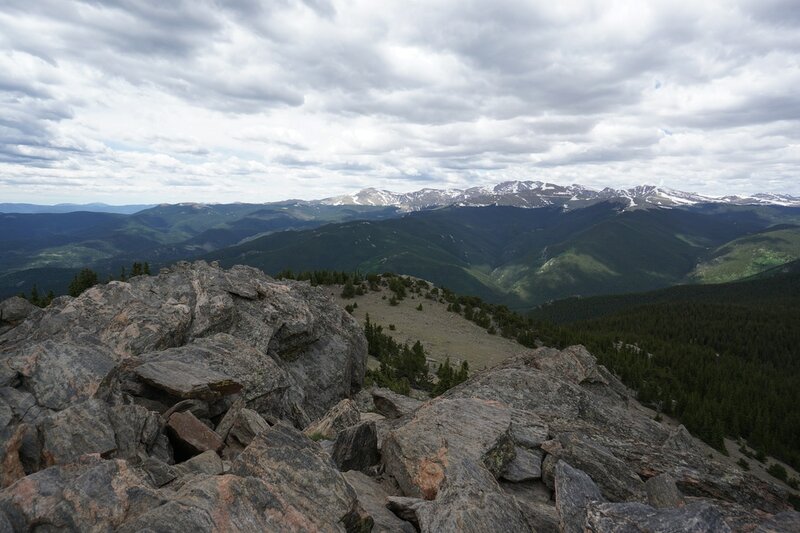 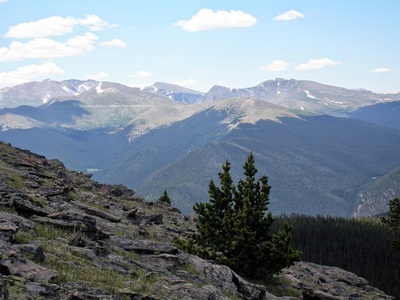 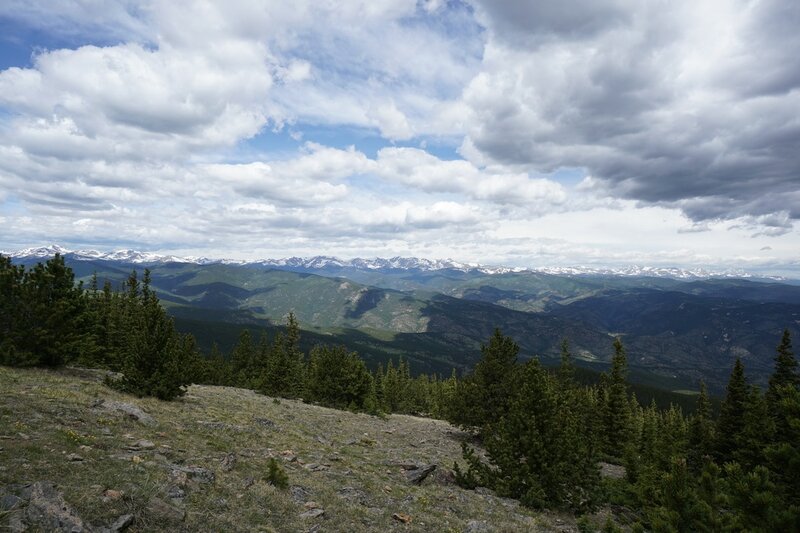 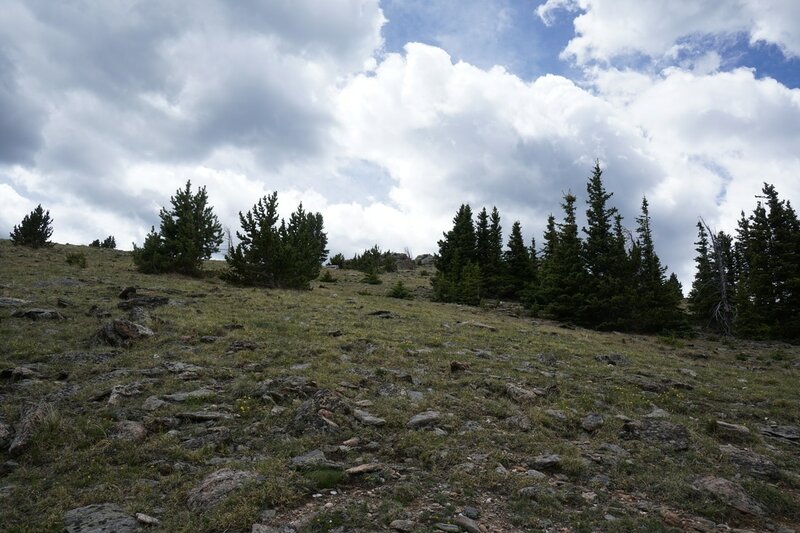 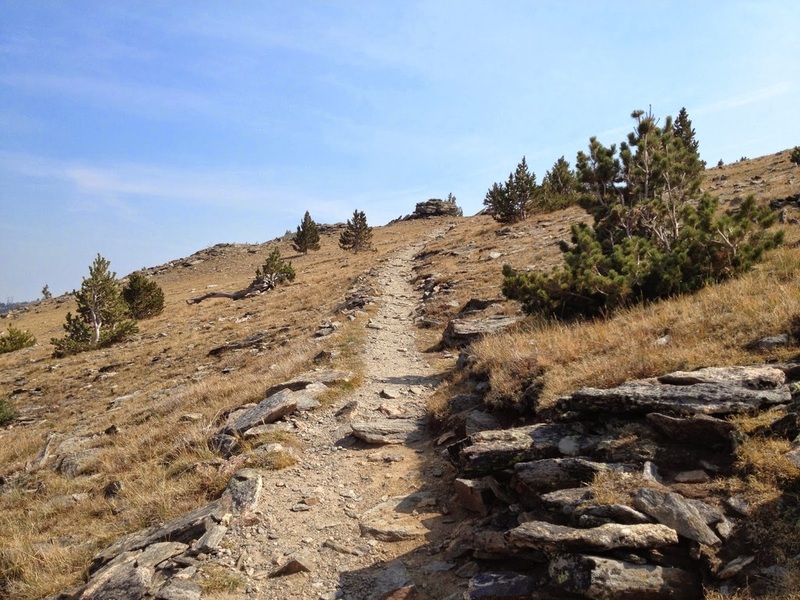 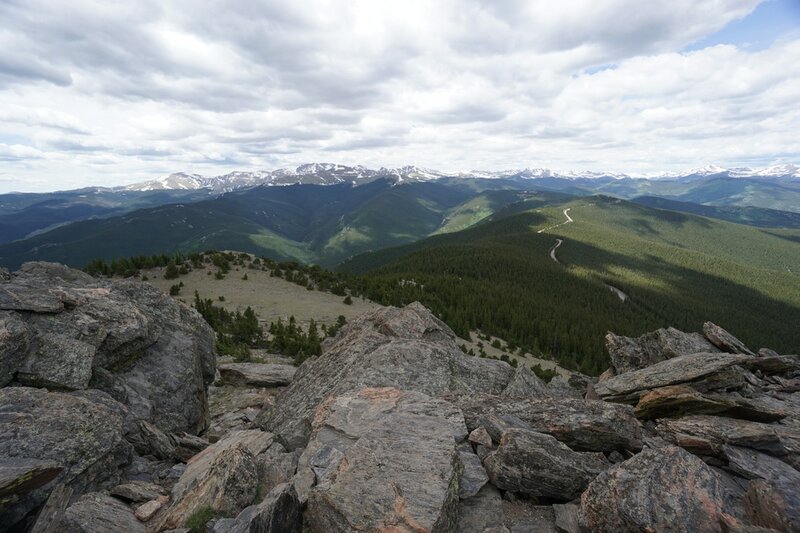 It is reasonably steep, you gain 1,000 ft in just 1.5 miles, but the trail is easy to follow, breaks tree line, and leads right to a rocky alpine summit. From the summit the views are endless. 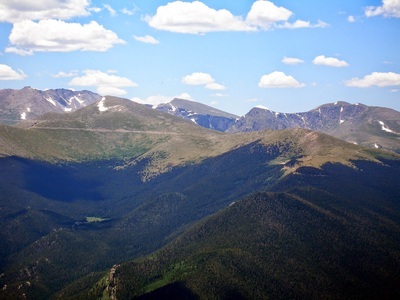 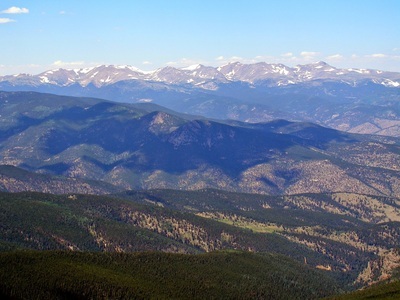 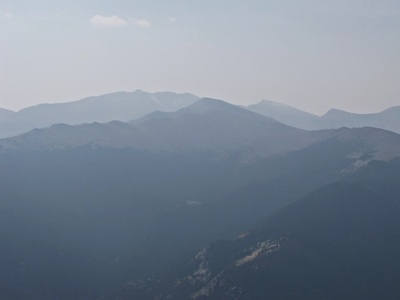 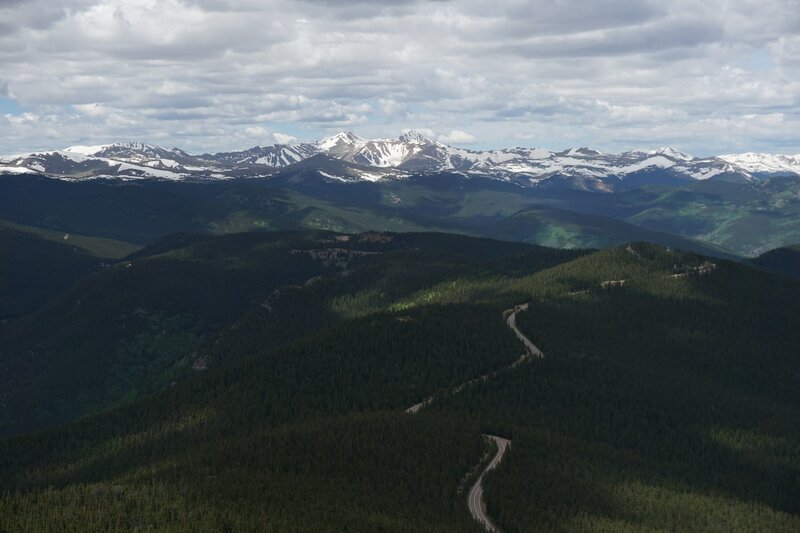 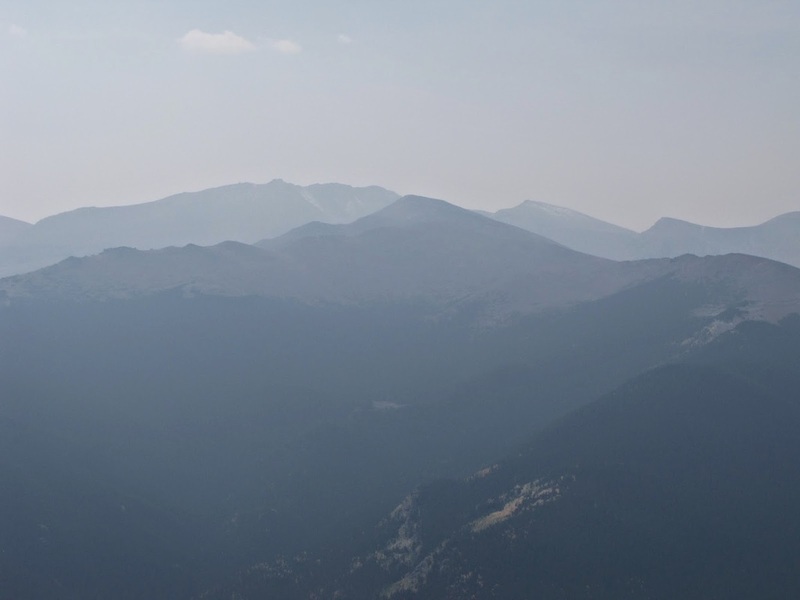 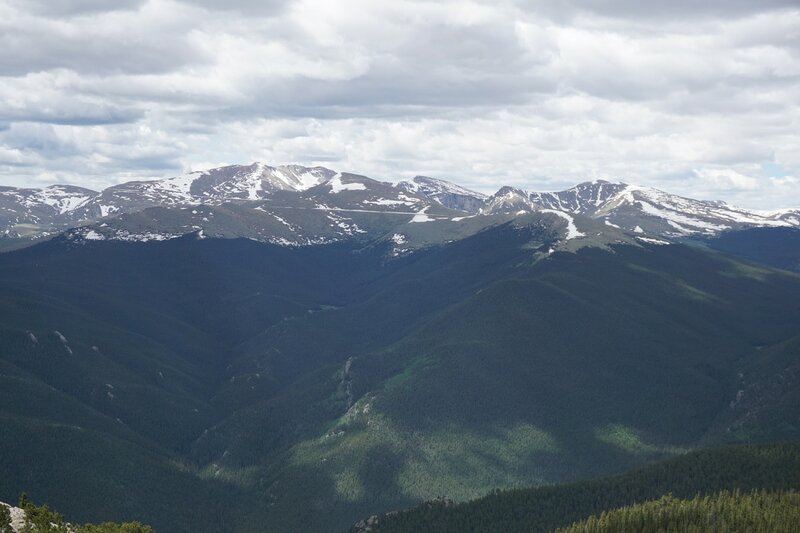 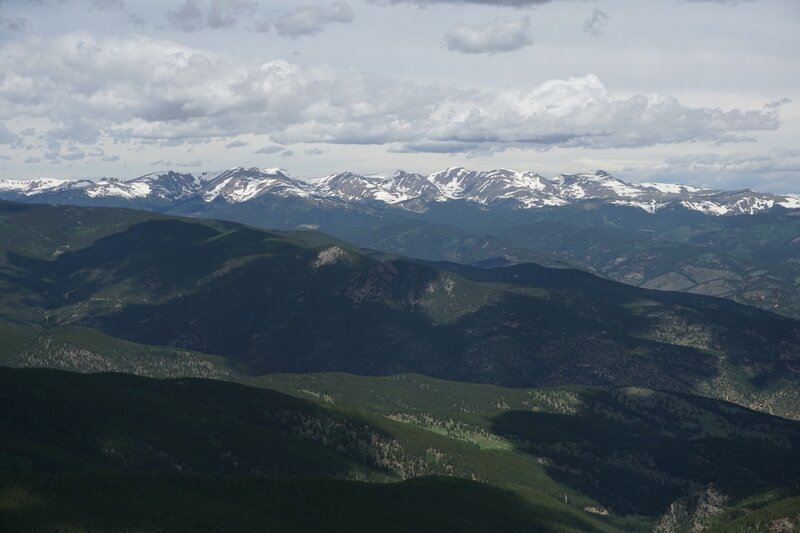 You can see all the front range Fourteeners (Pikes is just visible if the sky is really clear) but Mount Evans is the main attraction. 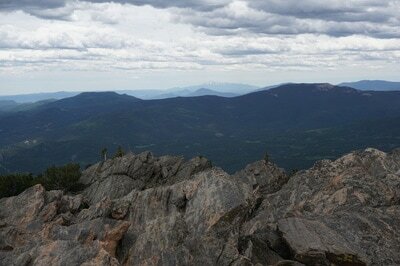 Looking back to the east you get an up close view of Squaw Mountain. 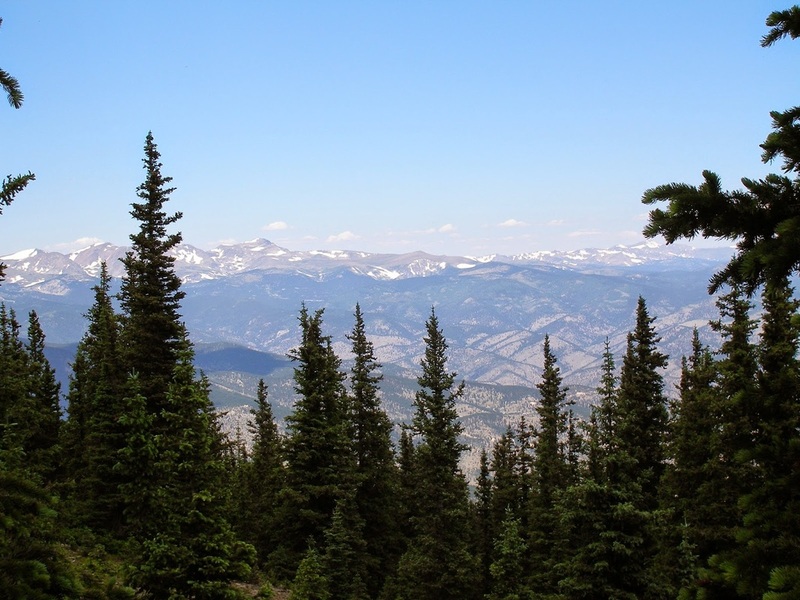 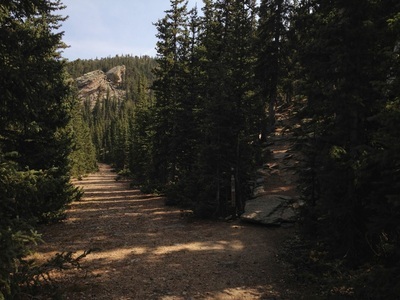 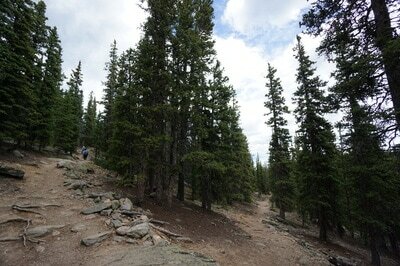 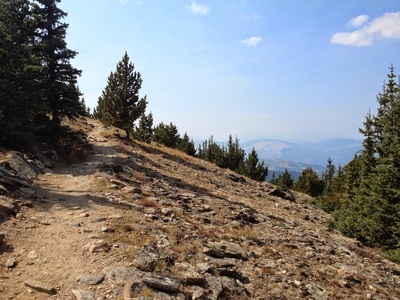 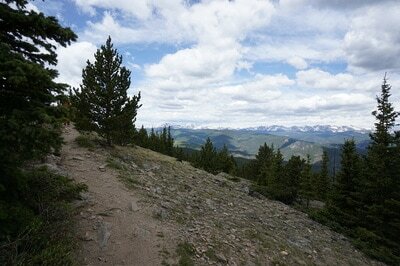 The trail starts through the forest and switchbacks up until you reach Old Squaw Pass Road. 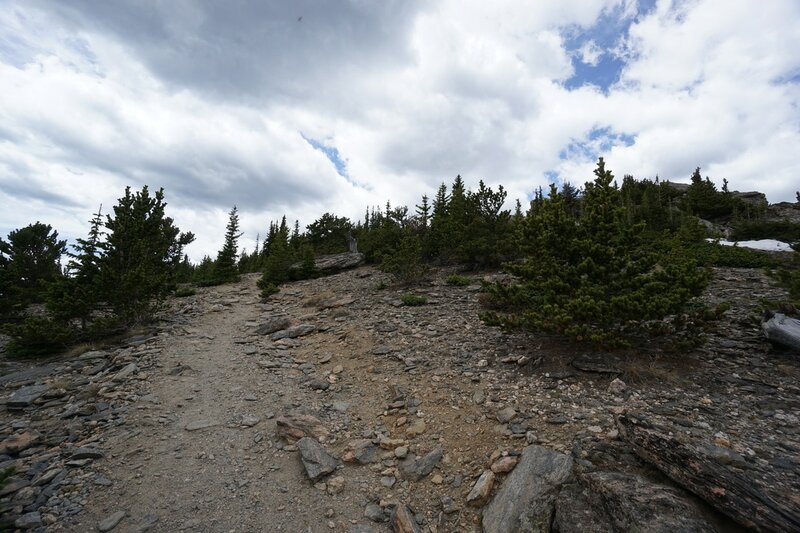 Cross the road and continue uphill, do not turn. 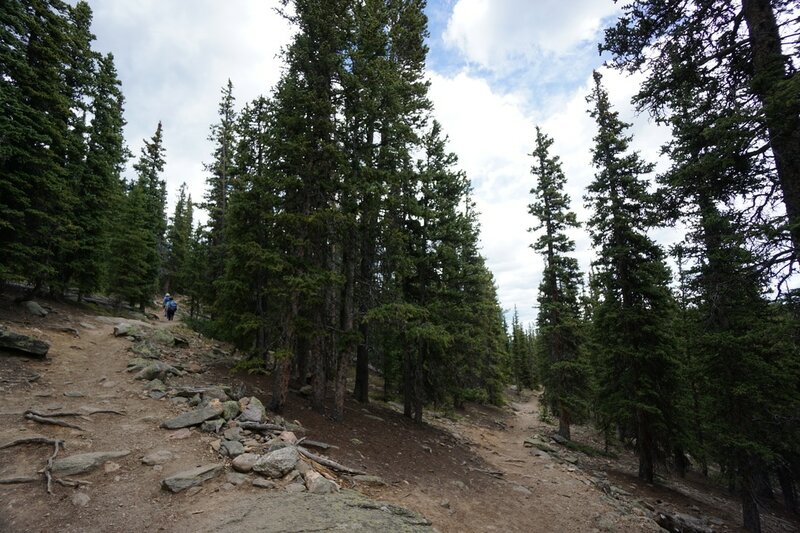 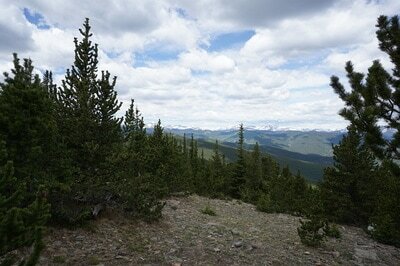 Before too long the trees get shorter and you breaks out above treeline. The switchbacks continue all the way up to the summit. 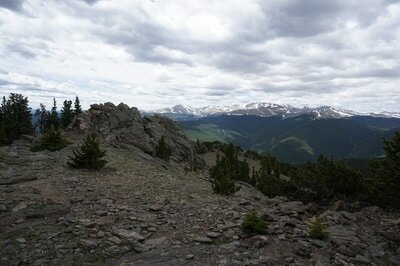 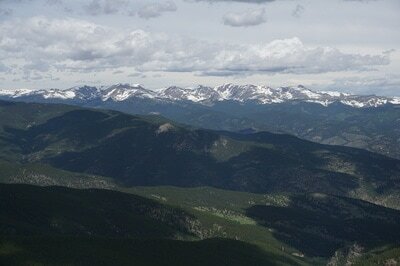 The quality of the hike and the view vastly outweigh the effort, enjoy! 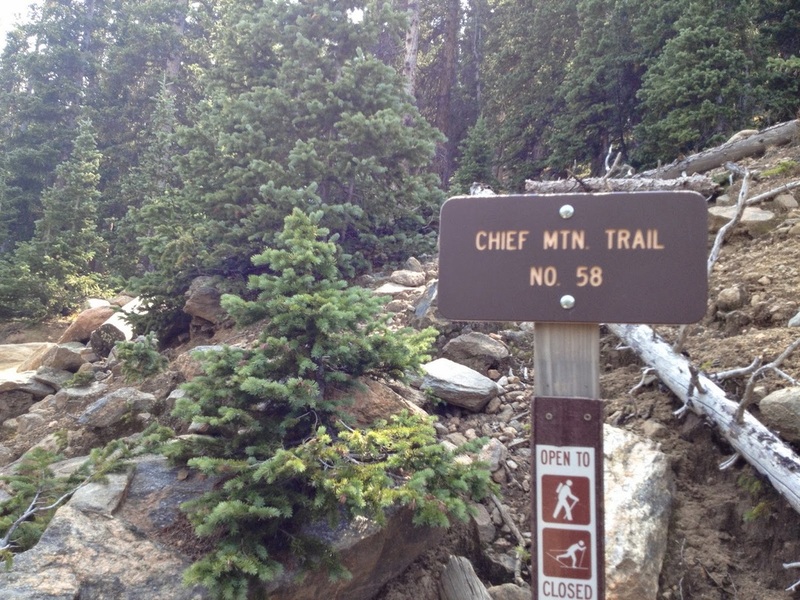 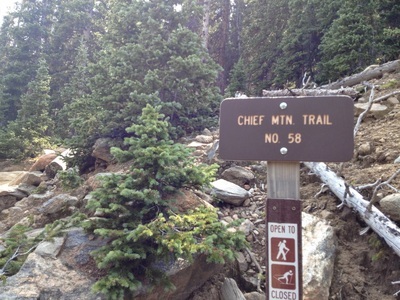 A word of caution, this hike is very popular on summer weekends. 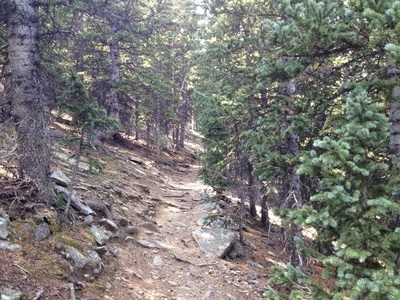 It is best to hike in the early morning or on weekdays.